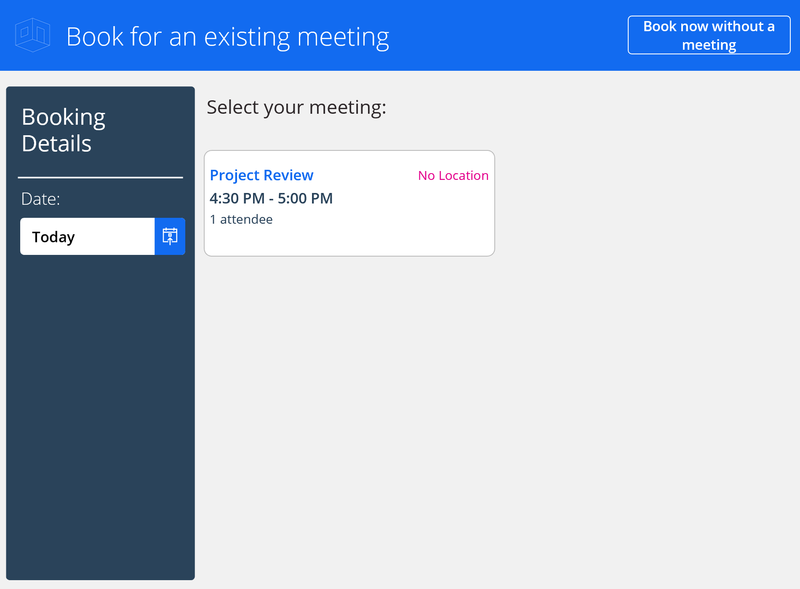 Try out the “Book a Room” powerapp and discover the utility of PowerApps and Office 365 connectors built on Office Graph. Go to the Powerapps home (here), Clicking on the Office tab or search for “Book a Room”, and click the “Make this app button” on the tile. No setup is required. Simply play the app, allow it to access your data and you’re all set! 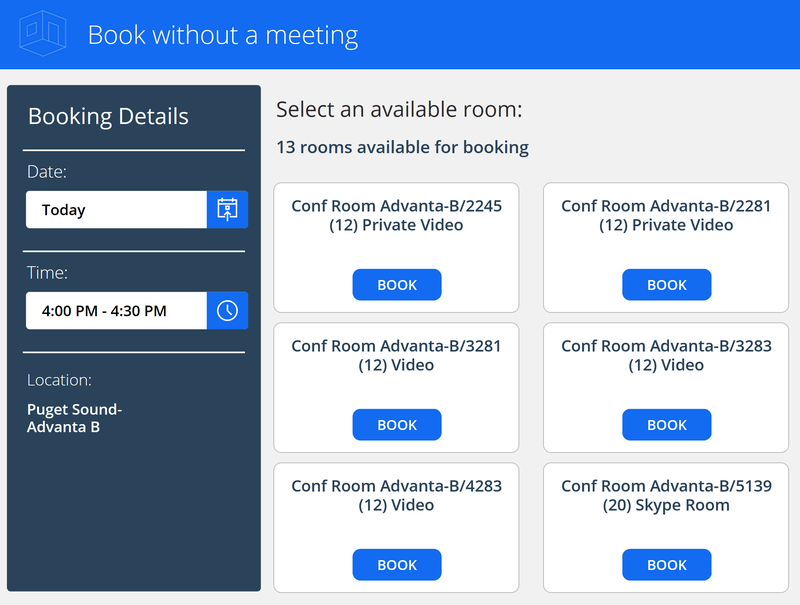 As with all of our template apps, Book a Room can be utilized as-is, customized for your business, or used to learn new concepts and best practices while drawing inspiration for your own apps.